Android updates don’t matter anywhere near as much as they used to. Most Android devices don’t get timely operating system updates, but Google is updating more and more of the Android operating system in the background. This is Google’s real plan for battling Android fragmentation: Update as much of the operating system and its apps as possible without going through device manufacturers or carriers. Older devices aren’t as outdated as they used to be. Compared to Android 4.0 and Android 4.1, the most recent versions of Android are minor updates. Android 4.4 is the biggest update, bringing significantly reduced memory usage — but, if you have a device that came with a recent version of Android, it probably already runs well and these memory reductions are only nice to have. Google is updating Android without actually updating the Android operating system. When a manufacturer wants to release an Android device, they have to negotiate an agreement with Google to get the Google Play Store and Google apps on their devices. As part of this agreement, Google reserves the right to update the Google Play Services component of Android on their own. This component automatically updates in the background on your Android device, and there’s no way for you — or the device’s manufacturer — to stop this from occurring. 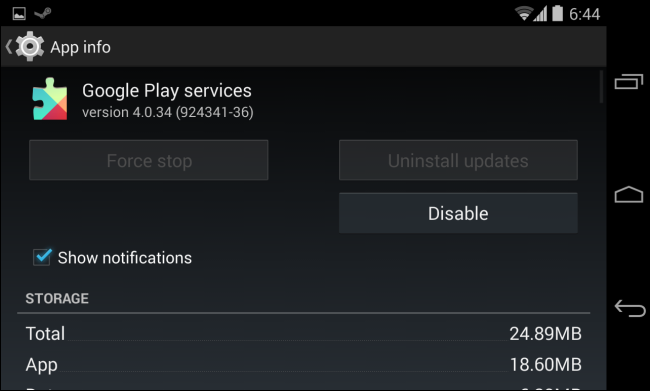 Google has been adding quite a few features to Android through Google Play Services. These updates affect devices all the way back to Android 2.3 Gingerbread and 2.2 Froyo, released in 2010. For example, Google has added the Android Device Manager device-tracking feature to nearly all Android devices thanks to a Google Play Services update. Just open the Google Settings app — this entire app was added via a Play Services update — tap Android Device Manager, and enable it. Google has also added an app-scanning feature that scans sideloaded apps for malware if you choose to enable it, making older devices more secure. These user-facing features were added to the Android operating system via a Play Services update without any interference from device manufacturers or carriers. Google has also added new APIs for developers to use, including a more efficient location API that dramatically reduces battery usage. The old method required each separate app to wake up the GPS hardware and determine your location on its own. Gmail, Google Calendar, Google Keyboard, Hangouts, Chrome, Google Maps, Drive, YouTube, Keep, Google+, the Google search app — these are all apps that update regularly from Google Play and can be installed on older devices. On Apple’s iOS, an update to a system app like Mail, Calendar, Messages, or Safari would require a completely new version of the iOS operating system. On Android, they’re automatically updating for everyone. Android 4.4’s Google Experience Launcher has even been rolled out to other devices via an update to the Google Search app. You can easily enable it by sideloading a small enabler app. 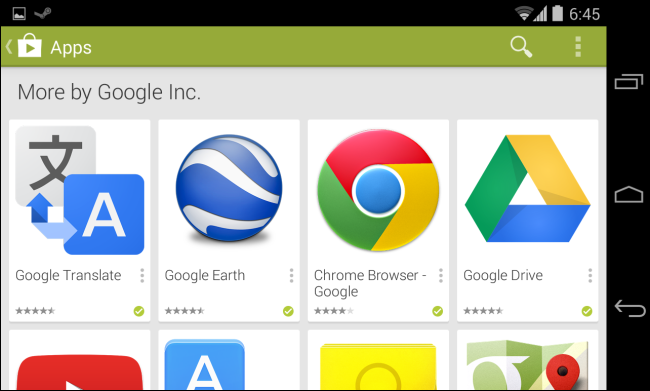 The Google Experience Launcher may eventually be available for easy, official installation on older devices. Certain things still require operating system updates. Operating system-level features like multiple user accounts, memory usage reductions, or support for new hardware standards like Bluetooth 4.0 can’t be rolled out in the background. They require new versions of the core operating system. The reality is Android updates have become less and less significant. If you have a device with Android 4.1 or 4.2, you still have a very modern Android experience with most of the latest features. You can still use all the latest apps because Google has given you the latest APIs. Nevermind the version numbers — Android fragmentation is improving. This is Google’s plan to battle Android fragmentation, both for developers and users. Developers get access to the same APIs across all Android devices, while users get access to features and new apps quicker. So far, it seems to be working.